AS, CTL is an export oriented company. 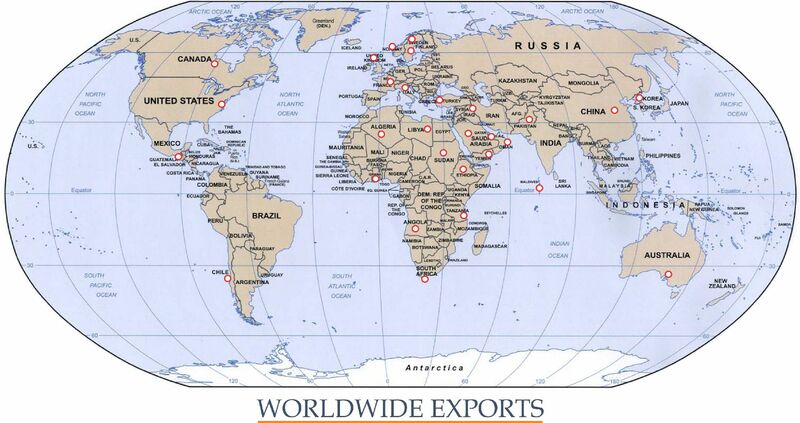 Its major area of export is Africa, UAE, Gulf, European Union and America. It has done huge tent export business in 1990 gulf war. The major chunk was exported to Kosovo & Turkey for Emergency Relief purposes. CTL has been awarded third position in top five exporters under canvas & tents category due to its remarkable export performance in the year 1998-99. CTL has achieved number of supply targets for military and emergency relief Tents. Those includs the following which were completed well in time to UN agencies, Government agencies and to other sources. Regular Supply of PVC Coated Fabric to many customers worldwide. Regular Supply of Dyed / Waterproof Canvas Fabric to many customers worldwide. Regular Supply of Textile Products like Canvas Tarpaulins, PVC Tarpaulins, Sheets, Home Textiles, Mops, Accessories to many customers worldwide. Regular Supply of different types of Tents to our customers. Tents for US Army during Gulf War in 1990. Tents for US Air Force in Kosovo Crises in 1999. Tents for Refugees for Turkish Earthquake 1999. Tents for Refugees to Azerbaijan for US Aid in 2000. Tents for US Army during Afghanistan Crises in 2002. Tents for US Army during Iraq Crises in 2002. Tents for Refugees to Algeria Earthquake in 2003. Tents for US Army in Kuwait 2004. Tents for Tsunami in Indonesia 2005. Tents for Pakistan Earth Quack 2005. Tents for Election Campaign Angola 2008. Hospital Camps for Jordan 2009. Tents for U.S Army in Afghanistan. 2009.